The “Alpine Vision Gran Turismo” and “Alpine Vision Gran Turismo Race Mode” have been released on "Gran Turismo 6", available exclusively on PlayStation®3. This is a single seat sportscar containing the essence of Alpine tradition and the future. After Update 1.17 has been installed, the cars can be purchased from the [Vision GT] area within the [CARS] section in "My Home" (here, you can also find the car's presentation movie). Alternatively, it is also possible to obtain the cars by completing a lap (regardless of the lap time) in the new Seasonal Event, available only for a limited time. The “Alpine Vision GT” racing suits have been added to the [Special Outfit] page of the [Racing Gear] option within the [TUNING & MAINTENANCE] section, accessible from "My Home". The suits can also be obtained from the corresponding Seasonal Events, available only for a limited time. Alpine, the French sports car brand par excellence, is back. On track, it was the A450’s victory in the European Endurance Championship that put a smile back on enthusiasts’ faces in 2013. On the road, it is the market launch of a breathtaking sports car in 2016 that has instantly stirred the interest of the public and the impatience of future customers. Since its creation back in the mid-1950s, Alpine has built a legend informed by passion and a taste for challenges. With its light, agile, efficient and elegant sports cars, Alpine has consistently taken on and often defeated the most powerful and prestigious automotive leaders. Today, the people at Alpine are proudly bringing Gran Turismo players a sports car as unique as it is fascinating: the Alpine Vision Gran Turismo. The sleek and distinctive vehicle, developed exclusively for the world’s most famous vehicle simulation game, was created by the same dedicated designers and engineers who are working on the future production model. So it comes as no surprise that the Alpine Vision Gran Turismo explores the key Alpine themes of agility, pleasure and style to the hilt. Agility is a defining characteristic of the road behavior of an Alpine. Alpine cars are designed to bring drivers at-the-wheel pleasure at all times and have a particular way with corners. The heady pleasure felt on board an Alpine stems from the feeling of being one with the machine. With their limited mass, Alpines respond instantly and seamlessly to the driver’s input. And they have always stood apart through their innate sense of beauty and style, on road and track alike. The Alpine Vision Gran Turismo, in its own distinctive way, features all these ingredients. In the rear body styling, aficionados will see a nod to Alpine race cars such as the A210, energy efficiency champion winning its class at the 1966 Le Mans race, the A442B, overall winner of the 1978 Le Mans, and the A450, victorious in the LMP2 category in the 2013 ELMS competition. Players of all ages will admire the car’s original, low-slung flanks, redolent of lightness and aerodynamics. They will also be surprised by the richness of the creative details, as seen in the side air brakes. 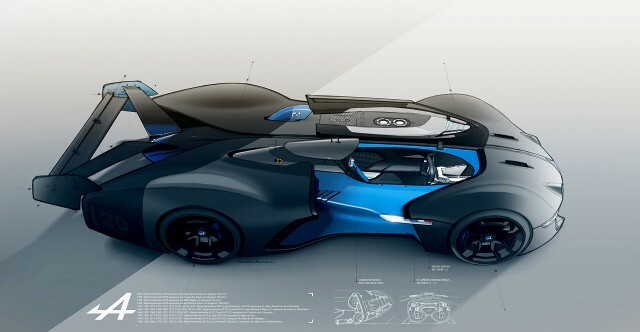 The Alpine Vision Gran Turismo will unleash the curiosity of all comers, discreetly featuring a few traits of secret inspiration that echo the future production model. But above all the Alpine Vision Gran Turismo pursues the ambitious aim of bringing Gran Turismo players a preview of the impressive road manners of the future sports car. Weaving a winning link between past and future, road and track, and virtual and real, the Alpine Vision Gran Turismo has a soul. And, above all, it conveys the enthusiast spirit of the teams who are designing tomorrow’s passion today. 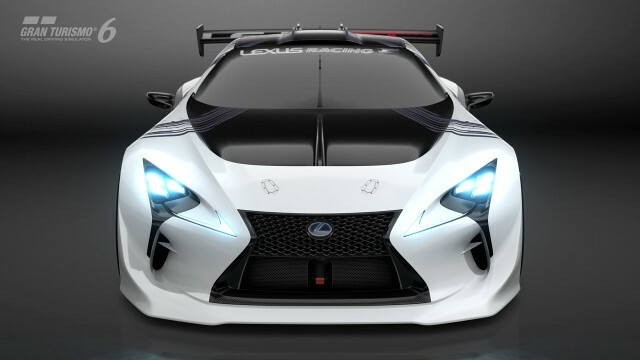 Gran Turismo 6 update 1.17 contains the Lexus LF-LC GT ‘Vision Gran Turismo’ and new Alpine Vision Gran Turismo, and you can start driving the virtual cars from today. 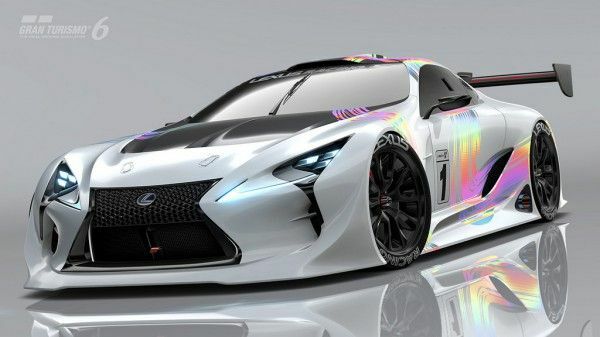 Sony Computer Entertainment announced that developer Polyphony Digital has rolled out a brand new update for Gran Turismo 6, adding the LEXUS LF-LC GT into the Vision Gran Turismo garage, a fighting machine in which the LEXUS have redefined the coupé concept "LF-LC" using racing technology. After Update 1.17 has been installed, the car can be purchased from the [Vision GT] area within the [CARS] section in "My Home" (you will also find the car's presentation movie there). Alternatively, you can get the car by completing a lap (regardless of the lap time) in the new Seasonal Event, though this is only available for a limited time. The Alpine Vision Gran Turismo and 'Alpine Vision Gran Turismo Race Mode' have been also added. The 'Race Mode' edition is a single seat sportscar containing the essence of Alpine tradition and the future. After Update 1.17 has been installed, the cars can be purchased from the [Vision GT] area within the [CARS] section in "My Home" (here, you can also find the cars' presentation movie). Alternatively, it is also possible to obtain the cars by completing a lap (regardless of the lap time) in the new Seasonal Event, available only for a limited time. The “Alpine Vision GT” racing suits and helmets have been added to the [Special Outfits] page of the [Racing Gear] option within the [TUNING & SERVICING] section, accessible from “My Home”. The suits and helmets can also be obtained from the corresponding Seasonal Events, available only for a limited time. The issue regarding the “Championship” race found after installing Update 1.16, where it was not possible to resume a Championship race that was previously suspended while playing in “B-Spec” mode, has been fixed. 1. From the Quick Menu before a race or from the [Garage], select [Car Settings] and [Transmission]. 2. When using the [Fully Customizable Dog-Clutch Transmission], change the [Final Gear] value from the initial value. 3. After exiting [Car Settings] and starting a race, the values set in the [Fully Customizable Dog-Clutch Transmission] will reset to the initial default value. This issue does not occur if gear values other than the [Final Gear] are also changed. We are currently working to fix this problem and will notify everyone when we have resolved this issue in an upcoming update.